At the core of your being, beyond mind, beyond body, lies your true nature. A sparkle of light. A sprinkling of energy. Totally peaceful. At one with the world. At your highest, you want the best for yourself, others and the planet. 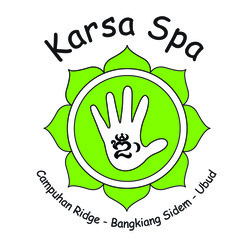 Our aim at Karsa Spa is to relax and open your entire being. 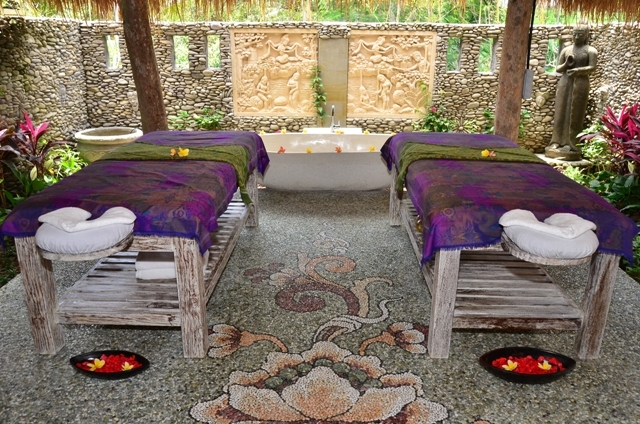 Ubud has hundreds of spas. Why choose us? First and foremost you are here for a professional, healing massage or Reiki treatment. It's all about how you feel. You want your therapist to be focused, present and attuned to your needs. All our staff are professional, experienced, highly trained massage therapists. All our Reiki practitioners hold Reiki Tummo certification. Be assured your therapist will be attuned into your needs, fully present and discrete at all times. Lush, beautiful, sparkling clean indoor and outdoor rooms with freshly laundered linen. We use water treated with a salt based softening system and have pressurised water tanks. Feel the difference in your after massage shower or bath! Plants, the soothing sounds of water, lotus pond and traditional Balinese artworks add to your experience of tranquility. Drift away to our tranquil sounds or choose your own faves on one of our ipods. Traditional Balinese spa, soft jazz, guided meditations, classical, mantras, contemporary or aural beats. Whatever relaxes you and opens your heart, we've got it. We use only Ayuvedic and organic oils for our massage treatments. We prefer Nadi's Herbal products as they are produced locally and are of the highest quality to ensure the best for you and Ibu Earth. Our organic facial and scrub ingredients are sourced from local organic suppliers. Our ginger-lemongrass-pandan-palm sugar tea is a divine after treatment drink. We have built our spa using bio-septic tank systems to protect the surrounding rice fields. We recycle with Eco Bali, use Bio Soap natural soap nut liquid for cleaning the spa, and are actively involved in modelling our practices and encouraging others in the village to dispose of waste cleanly and greenly. The village of Bangkiang Sidem is a divine 30 minute walk from Ubud central, or 10 minutes by road via Sanggingan and Payogan. Surrounded by rice fields and tranquil village scenery. Step back in time to a more ancient Bali for a day. We are located with Karsa Kafe; perfect to combine a walk, a massage or body treatment with lunch or a juice. Sunsets are amazing up here! Taxi transport to Bangkiang Sidem costs around Rp 70,000 - Rp 100,000 from Ubud.